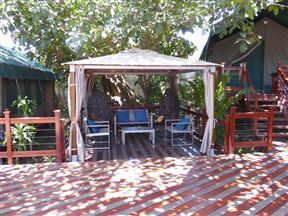 St Lucia Kingfisher Lodge, St Lucia Best Price Promise! 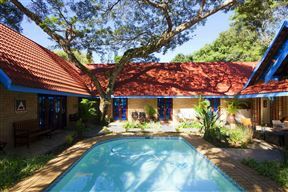 St Lucia Kingfisher Lodge is a grand old Colonial homestead offering luxury bed and breakfast accommodation. Resting peacefully on the banks of the majestic St Lucia Estuary, the lodge boasts a tranquil escape from busy city life. 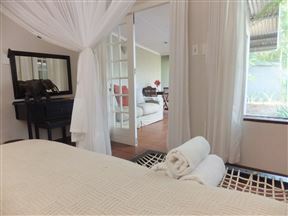 Sunset Lodge is located on the banks of the St Lucia Estuary which is a World Heritage Site. 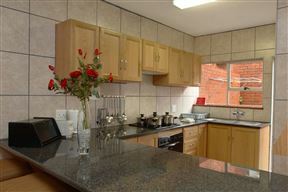 We are on the main road which is called McKenzie Street, but in a quieter part of town and we are within walking distance of all the shops, restaurants and amenities. 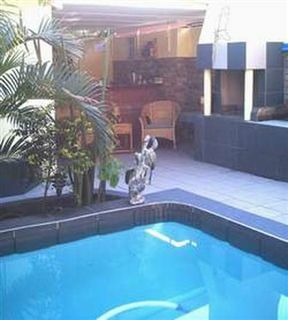 Monzi Safaris Backpackers is situated in the little leafy town of St Lucia.